Bubble Bobble is a classic platform game. 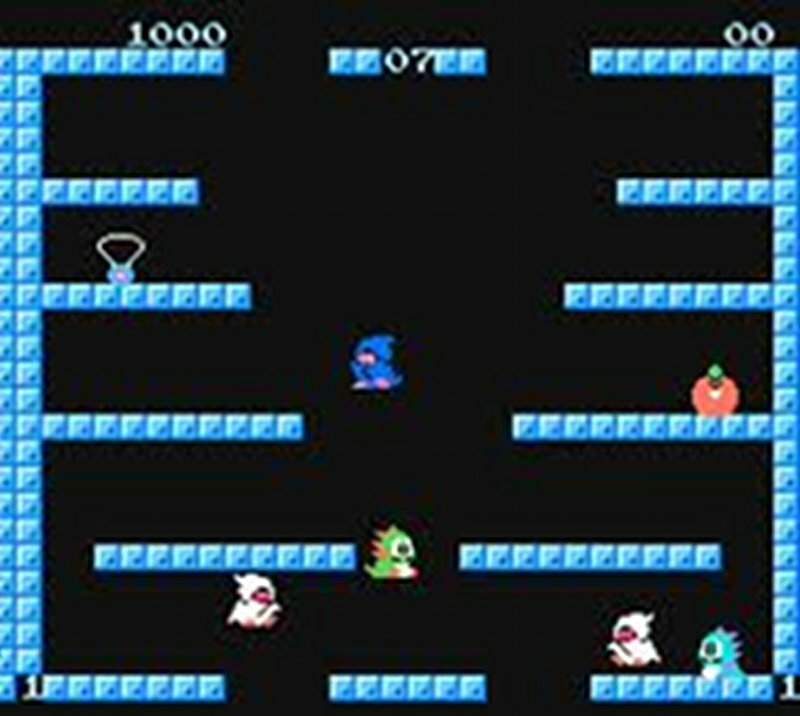 If you're crazy about the classic arcade games like Pac-Mac, Space Invaders and Donkey Kong, the game Bubble Bobble is probably for you as well. The game was, like the aforementioned, first to be found in game frames around the world before being transferred to computers to play them at home. The first level seen above is relatively simple to get through. Afterwards, however, you have to expect that the different levels will become increasingly difficult and difficult to get through. What is the game going on? In the game you have to save the dragons Bub and Bob's lovers who have been kidnapped by the evil Baron Von Blubba. You do this by completing 100 levels of various obstacles. 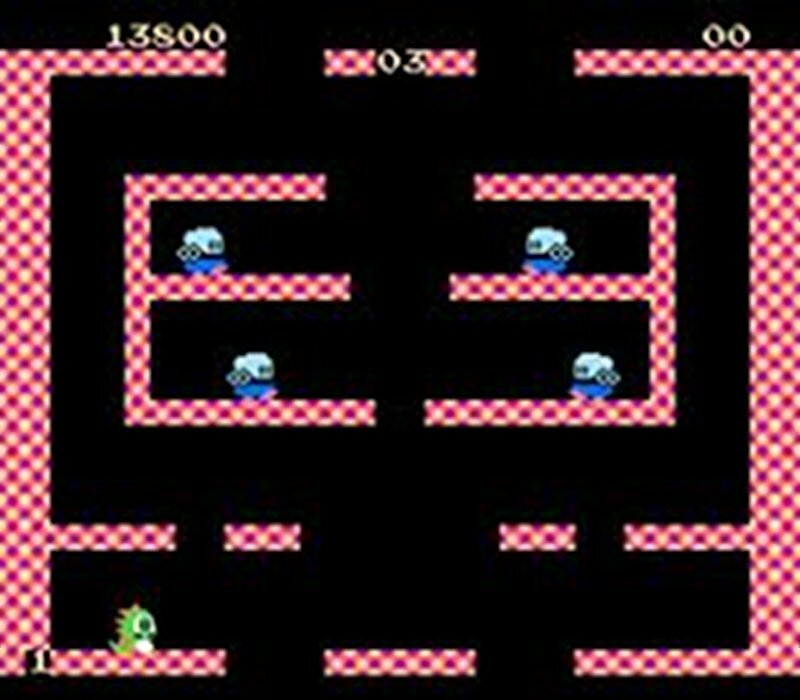 These 100 levels take place in The Cave of Monsters or Monster Cave in Danish, where a lot of different monsters try to keep Bub and Bob from reaching the last level so they can save their lovers. The game's plot is simple and in many ways reminds of the old Super Mario games, where Mario has to go through a series of levels to save a princess from the evil Bowser. As with the Super Mario games, games of this game are extremely addictive, so you can expect to spend hours, days, maybe even months, through the game. You control one of the two dragons through paths where they can move from left to right and back again, and jump up or fall on platforms. Thus, you freely control your dragon within the boundaries of the course, while the challenges and monsters you encounter at this level are chasing you. At each level you are met by enemies who must be overcome to reach the next level. These enemies must first inflate bubbles to catch them and then bump into the bubbles to burst them. This is where the whole idea of Bubble Bobble originated, and thus also the name of the game as well as the drag brothers. The enemies then transform themselves into fruit and food of different types, which are worth different points. If you defeat several enemies at once, and thus make what is called a combo, the food will also give you more points. As mentioned, there are two dragons in Bubble Bobble that you as a player can control. At the same time, this also means that you can play two players together and control their own dragon. You can, together with a friend, try to cope with the first 99 levels in the Monster Cave, before you in the last level have to face the evil Baron Von Blubba, so you can save Bub and Bob's lovers. In Bubble Bobble you can also achieve a number of special abilities and benefits for your dragon. This is achieved through a series of pieces and magic items that will appear continuously in the game. You need to catch these, after which you can use your newfound powers. The slush pieces can be either blue, green or purple. The blue gives you the chance to shoot your bubbles longer. This allows you to stand farther away at a safe distance while attacking the monsters. The green candy allows your dragon to shoot the bubbles faster so you can catch your enemies faster. The little candy is the best of the three, as this gives both forces above. This allows you to shoot longer while shooting faster. Besides these pieces of candy, you can also find running shoes. These make it easier to run, but they also make your dragon fall to the ground faster. In addition to the above mentioned items, there are also a number of bonus items that can be found to make it both more fun and easier for you as a player. There is a blue elixir, a white necklace, a blue necklace, a magic stick, a treasure chest and an umbrella. All of these have different extra features that you can find in the game. 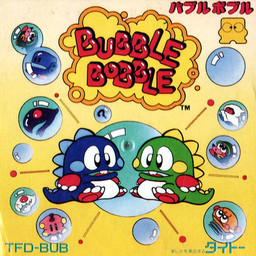 Bubble Bobble was first introduced in arcades in 1986 and the design of the game has hardly changed its appearance since then. This, in turn, gives a lot of character and nostalgia, which certainly should not be underestimated. For though dHaving become more spin-offs and imitations, the classic Bubble Bobble is still the best. You download it as free for free here, after which it will be installed in seconds before you can try the 100 levels in Monster Cave. 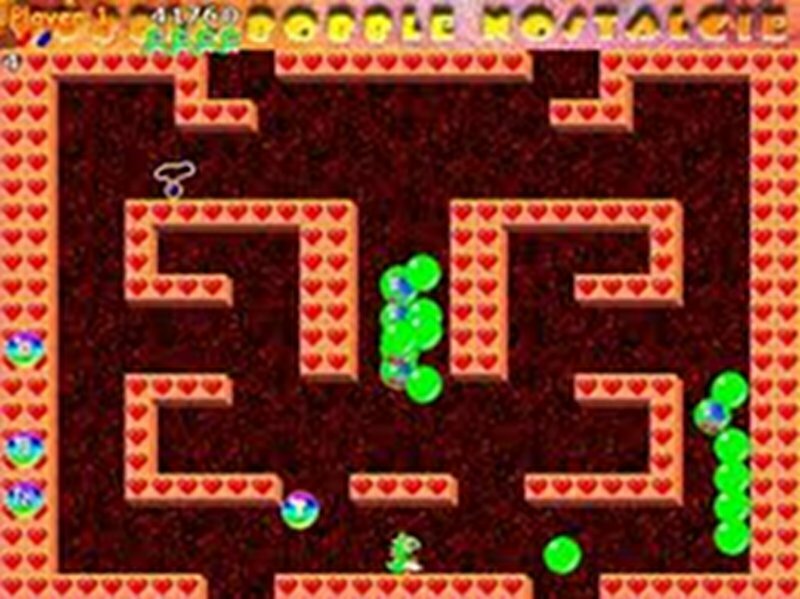 If you love this type of classic arcade game like Bubble Bobble, you probably also know Pac-Mac, one of the oldest of this type of game, which for the first time saw the light of day back in the early 1980s. You can download Pac-Man for free by following this link. Another game in the same category, also mentioned earlier, is always the popular Super Mario. The game where the little Italian plumber will save the princess from the evil Bowser can also be downloaded for free to your computer. You can find Super Mario by clicking here. If you miss the good old classic platform games like Super Mario, Pac-Man and Sonic, then you've come to the right place. 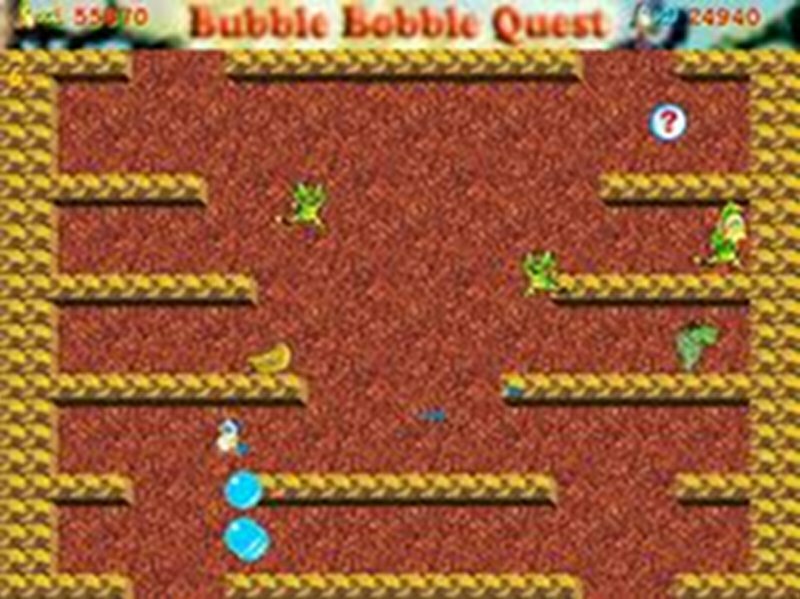 Here on the page you can download the arcade game Bubble Bobble, which has been inspired by the above games and which includes hours of fun. The game in all its simplicity is that you control one of the two toddlers Bub and Bob, who are trying to cope with 100 levels and the evil Baron Von Blubba who has kidnapped their boyfriends. You can also play the game with a friend, so you control a dragon each. In each level you have to clear a series of monsters trying to stop you. You can do this by breathing bubbles on them, after which they are made into food, you get points off. Each level is harder than the previous one and when you have finished 99 levels, the last level awaits with the evil Baron Von Blubba. Throughout the various levels, you can pick up a variety of magical objects that will give you draw features and powers that can help you through the pitch. The aforementioned classic games Super Mario and Pac-Man can also be downloaded by following the links of the games above in the text. Find Bubble Bobble, mark it and choose "Uninstall"
Should Bubble Bobble has been damaged or corrupted and thereby difficult to remove we can recommend you finding help to uninstall it here.